I’ve always had a soft spot for Gene Loves Jezebel. Were they “Hard Rock”? Were they “Alternative” or perhaps even “Goth”? And why did they have two singers? It was all a bit too strange for mainstream audiences to get, and Gene Loves Jezebel were destined to become an intriguing-but-often-overlooked musical force. After a lengthy studio absence, the Jay-fronted Gene Love Jezebel recently returned with an arresting new album, Dance Underwater. The result of a successful PledgeMusic campaign, the record retains the classic Gene Loves Jezebel sound while proving that the quartet still has plenty to offer in the here and now. To learn more about the record and the current state of affairs within the band, I recently Skyped with Jay – an affable, talkative fellow – for the following interview. 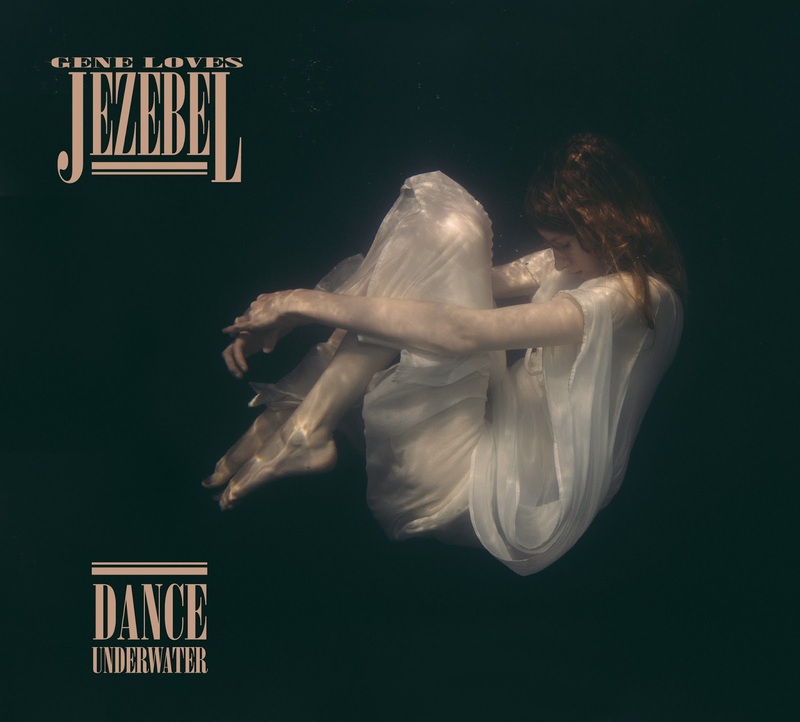 It’s been about 14 years since you’ve done an album with Gene Loves Jezebel. What led to that period of time between releases? Was it primarily the issues surrounding the name? That’s the main reason…We were going to go with Atlantic [Records], but we ended up going with Savage Records [for Heavenly Bodies], which gave us a lot of money at the time – and they signed David Bowie as well, of course. We ended up playing with Bowie, which was cool, but they went bust. We were just a bit exhausted, really. We had just done a long US tour; we had been around the world. I just felt like doing a lot of acoustic stuff, and a lot of that ended up on the last Gene Loves Jezebel album [2003’s The Thornfield Sessions]. Then, we went through this whole process with my brother and the name. We were supposed to do an acoustic tour together, but he billed it as Gene Loves Jezebel, which caused all kinds of problems. So I just didn’t want to release anything that he would exploit, basically…It’s a bit annoying that people go to see the name ‘Gene Loves Jezebel’ and expect the other guys who did [the 1985 single] ‘Desire,’ for instance. It’s not them, because we’re the guys who did that! So that held me up a little, but I always get together with the boys once or twice year; we do odd gigs at festivals and things. It’s been great; we’ll do once or two encores at every gig we do. We’ve gone on [that way] for about 15 years now. Every time we get together, they say, ‘Oh, let’s do an album!’ I say, ‘Guys, you say this to me every time we play together. Whenever we jump on the plane and I go back to LA and you go back to wherever you are, it’s forgotten until the next time we get together!” But Pete Rizzo, who started a project with me called Ugly Buggs with some of these songs we developed, said, ‘Okay, I’ll do a PledgeMusic thing.’ I said, ‘Well, that’s cool. If the fans want us to make a record – a proper record with a proper producer and a proper studio – then of course I’d be into it.’ And they did; it was through the love of the fans that we did it again. I’ve talked with a lot of bands that have utilized that PledgeMusic model – particularly bands from the ’80s era. Because you’ve been through that process now, how do you think it compares to that more traditional model that all the bands followed 30 years ago? I liked it. I’m a very sociable person anyway; I like interacting with people. It’s lovely to meet people who are interested in you and your music. We did things like [allow people to] hear the rough mixes. It was just great to get feedback from fans. We’re in our little box; we write songs, and we don’t know if they’re any good or not. I’m the worst judge of my own songs; James Stevenson is the guy who says, ‘Jay, we’ve got to do that song!’ I’ll give him a list of songs, and he’ll say, ‘That’s the one… That’s the one…’ So when we did the album, I didn’t know if people would like it, but the fans liked the roughs already. We had 15 fans who paid a premium to come down to the studio for one day. It was a very intense record to make. It wasn’t like the days when we were on Geffen or Beggars Banquet [and] we had huge budgets and we’d be lolling, drinking ourselves stupid and having fun. It was really serious, serious work. We’re fortunately, because we’re obviously from the ’80s. That was the last period, I would say, that record companies really put a lot behind bands. They would literally put $1 million into campaigns in those days, which doesn’t happen today. We’re fortunate that we’re from that era and we can do a PledgeMusic thing. I would imagine it’s tougher for new bands. One of things that’s very significant at this point in time in your career is the fact that you have four guys in a band who’ve been together in one form or another for 30 years. That’s not an easy thing to accomplish in this industry. What is it about this combination of people that makes it work as well as it does? Well, they’re all very talented and they’re all really intelligent. We’re great friends; we actually hang out. That’s the thing; we’ve always kept connected. If we’re in the same town, we’ll hang out. I’m in London right now, and I’m back and forth, but I’ll see James a couple of times a week. I’ll pop up to York to see Pete. Chris is in Bath; when he comes into London, he’ll call me up and say, ‘Jay, I’m going to a club.’ We get on. We’ve fallen out and we’ve fallen in, but we’re still great friends. There’s a genuine love between the members of the band, and there’s a respect as well. I can’t make a record like we’ve just made without those other guys. I want to go back to the House Of Dolls era for a moment. I was fairly young back then, and I remember seeing “Motion Of Love” played regularly on MTV. Even though I think you fit into what else was being played at the time, you were also quite different. You weren’t a complete, solid fit with what would be considered ‘Glam’ or what have you in America at the time. Since it’s been some time now since that era, what are your thoughts on how the band was perceived in America, especially during the time of The House Of Dolls, Kiss Of Life (1990) and Heavenly Bodies? It was odd for us. Number one, I never want to sound like anyone else; that’s always my thing. Obviously, every band member brings influences to it, but I didn’t want to sound like anyone else. I didn’t identify with the Glam thing at all, even though I wore makeup and colored my hair and all that stuff, but that was part of the Alternative scene as well. It’s a difficult one, because a lot of those bands liked us. We were perceived first as this band that came from the UK that was left of center. But a lot of the rockers said, ‘Oh my God! They play Les Pauls and Telecasters!” Immediately, a lot of the Rock guys like Guns N’ Roses liked us. I think we’re a bit like Daryl Hall and John Oates; they’ve just got their own thing and they don’t fit anywhere, really. I think it’s a good thing to have your own space. Record companies tried to put us in a slot. On the record sleeve for Heavenly Bodies – which is our second-favorite album; the new one is our favorite – they tried to make us look like one of those Glam bands at the time. It was really frustrating; we see didn’t the jacket until it literally came out. We were on the road, and we were like, ‘What?! That’s one odd shot out of the whole session!’ It’s a great album; we’re very proud of it, but [the cover] was a misrepresentation. It’s weird how ‘image’ is. Look at David Bowie. Bowie’s a great singer, but he’s very much perceived as an image. If David Bowie released some of the records you hate – but it was David Bowie doing them – people would go, ‘That is amazing!’ because it’s David Bowie. If David Bowie did ‘Devil Woman’ by Cliff Richard, people would be calling it high art. It’s perception; image can work against you as much as anything else. Gene Loves Jezebel has been around at least 35 years now. What would you say has been the band’s greatest achievement?